Couples counseling is an opportunity to be truly present with your partner, together in the moment. There are many things that can get in the way of being present with your partner: work, family, worries, depression, addiction, anger, infidelity, etc. This type of therapy helps couples move through conflict and (re)establish authentic connection. This process aids the couple's understanding of each others needs through various communication techniques and mindful experiences. I am a licensed marriage and family therapist with specialized training in couples work. Some specific techniques that influence my work include solution focused therapy, mindfulness, and communication techniques such as non-violent communication. 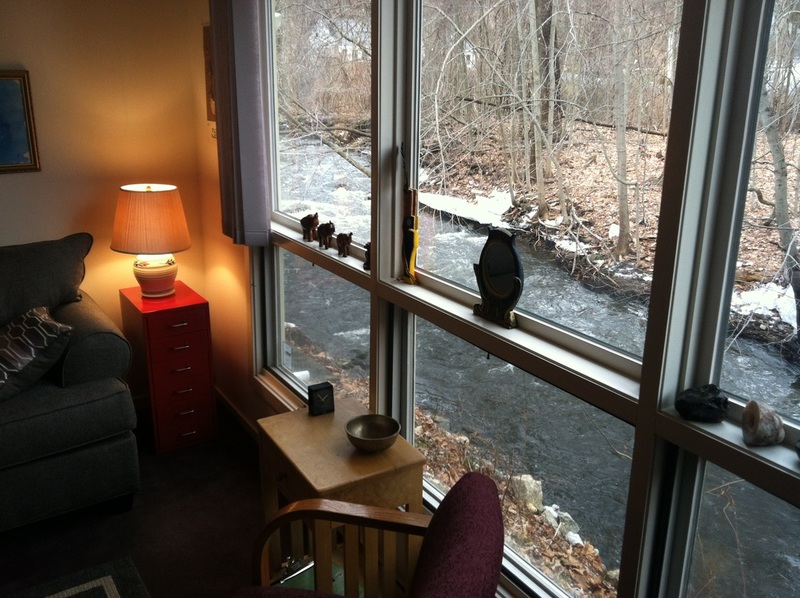 My private office space is located in South Glastonbury, CT.
Banyan Counseling office next to Roaring Brook nature preserve.